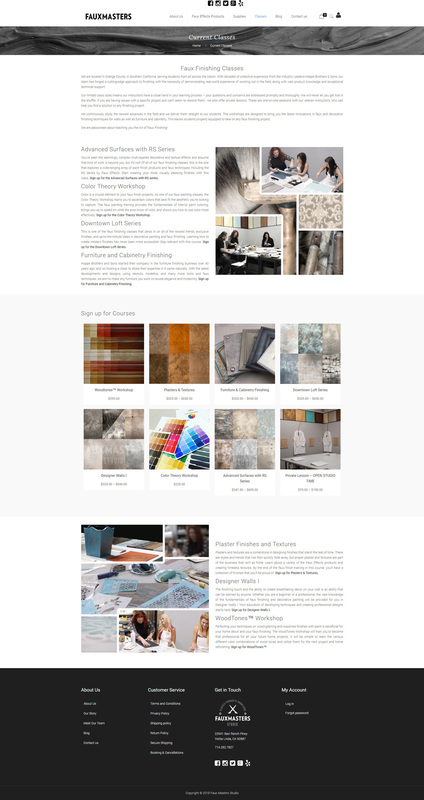 With a huge database, filled with an innumerable amount of products, color variations, and sizes, Faux Masters has been one of our greatest accomplishments. 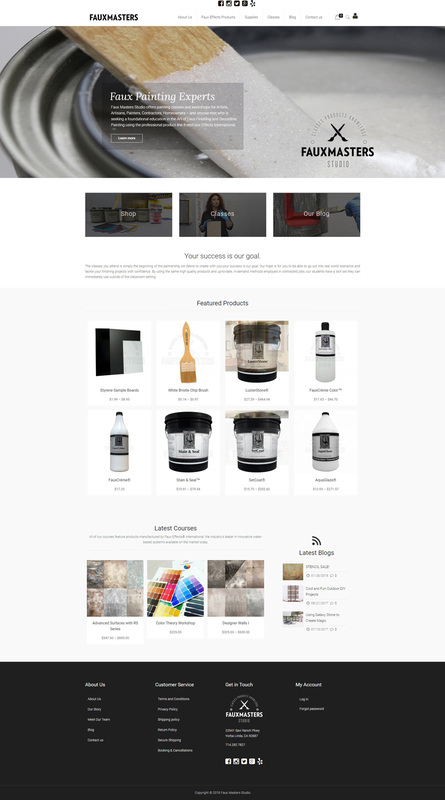 We took their previous website, which wasn’t functioning properly, moved the database over (while fixing their issues), and gave them a brand new re-design with great aethetics and functionlaity. This re-design has updated their website to a user-friendly format that’s easier for their customers to navigate. 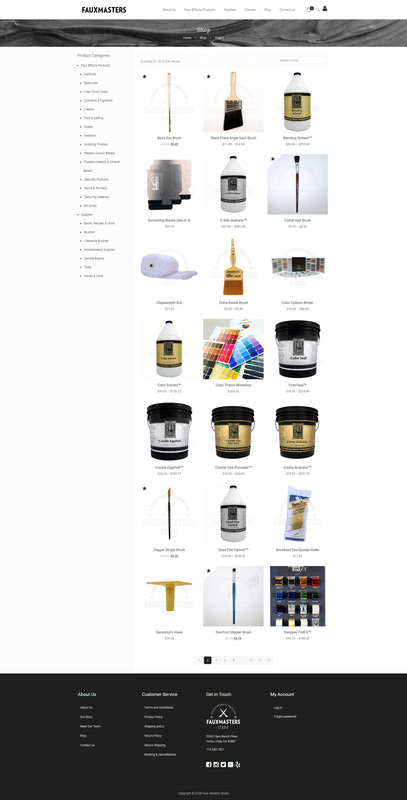 We also added new features for their shopping cart products, such as a color chart, new product tabs, and a zoom feature. Features like these, will create a better shopping experience for customers, which will translate to more sales and repeat business.